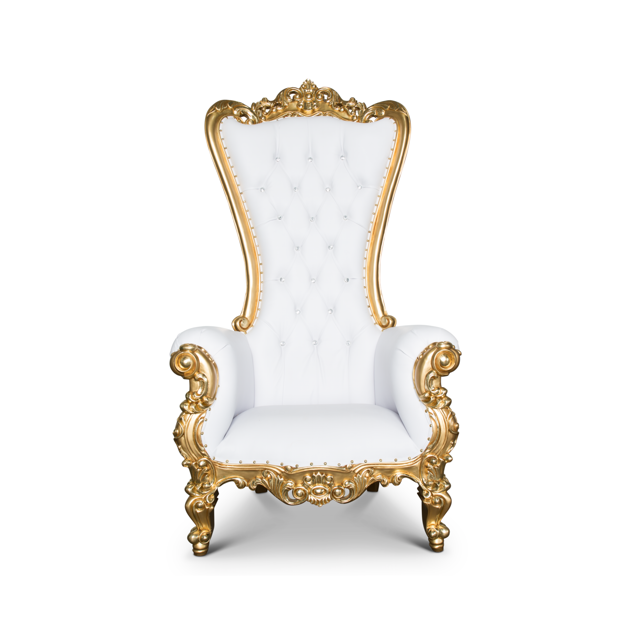 Be the center of attention and RENT our Throne Chairs for your next event! Great seating for all special events including: birthdays, baby showers, bridal showers, headtable, etc. Pricing does not include tax or delivery which will depend on location, flexibility of delivery/pickup schedule and ease of delivery (i.e. stairs/loading docks/elevators). Please be advised...The cost of delivery MAY be substantially higher if your delivery/pickup times offer less than 4 hours of flexiblity, if you require a same day/night pickup, or if there are stairs, loading docks, elevators, or if we have to remove doors. 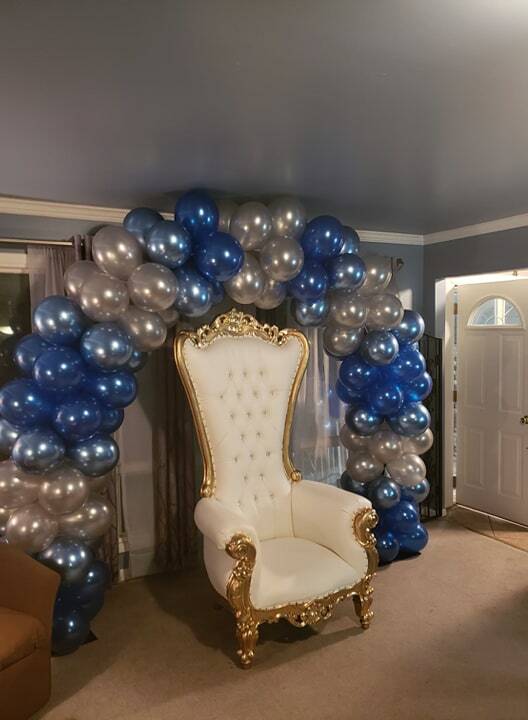 Chairs are 72inches tall (that's 6ft). 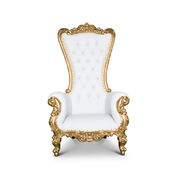 We do NOT allow customer pickups of our throne chairs.